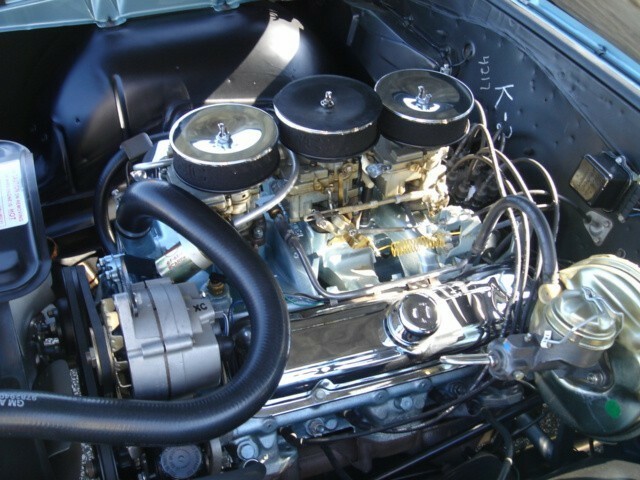 For 1967, the Mustang was widened by 2.7 inch to accommodate the big blocks. Although the 390 @ 325 hp engine was a step-up from the small block 289, they still didn’t have the “get-up and go” to out run the big block competition on the drag strip. That changed in April of 1968. 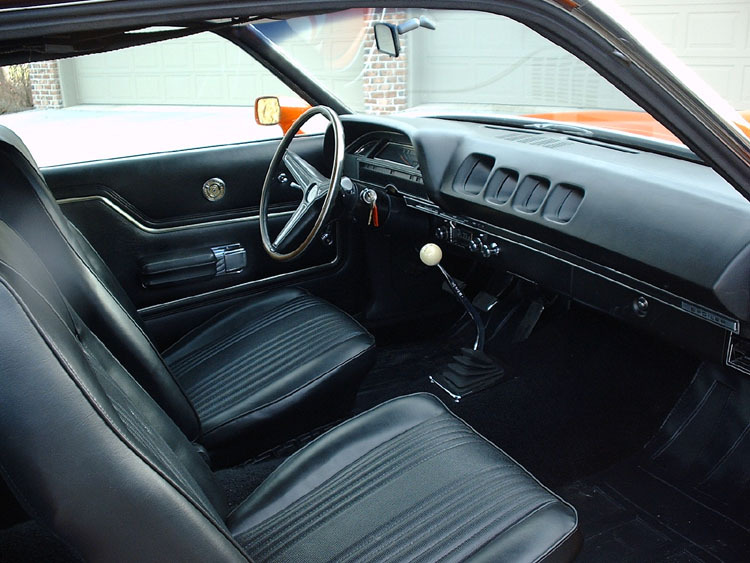 After countless efforts by car dealer and major “gear head” Bob Tasca of Tasca Ford in Providence Rhode Island, Ford Motor Company finally introduced the 393$ Cobra Jet option in the Mustang, which included a signature black strip on the hood. The first eight were white, lightweight fastbacks, built to meet the NHRA’s (National Hot Rod Association) production minimum. 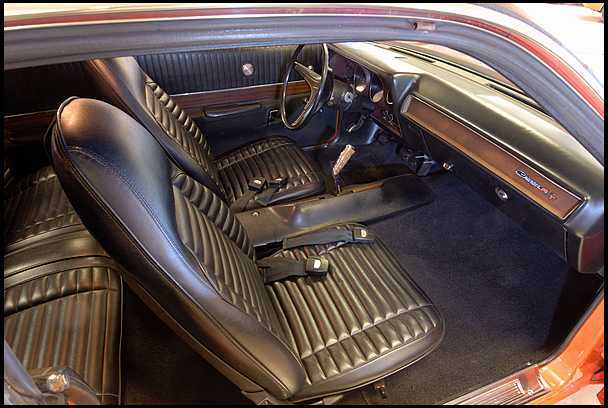 The new 428 Cobra Jet featured competition-brewed 427 heads, a 735 cfm Holley 4 barrel carburetor and ram-air induction. 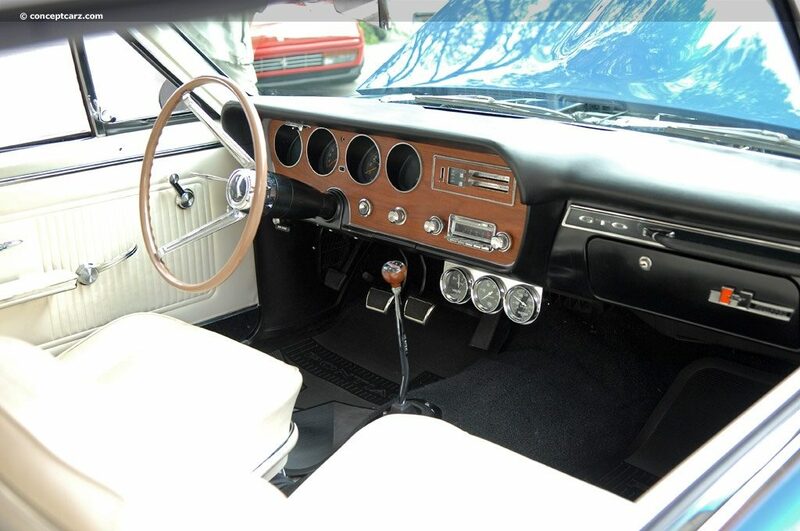 April 1968, Hot Rod Magazine tested a stock 428 CJ Mustang GT, they ran a 13.56 second E/T at 107 mph, quoting: “the fastest regular production sedan ever built”. Factory backed 428 CJ ‘Stangs dominated their class at the ’68 NHRA Winternationals. CJ vs CJ final round went Al Joniec hitting the traps in 11.49 seconds at 120.6 mph. 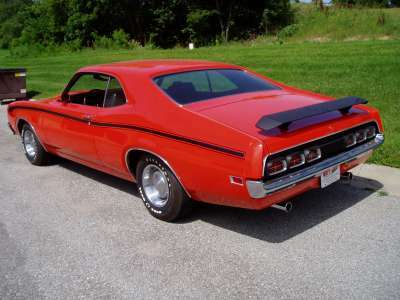 Mercury's answer to the Ford Torino Cobra was the Cyclone Spoiler. 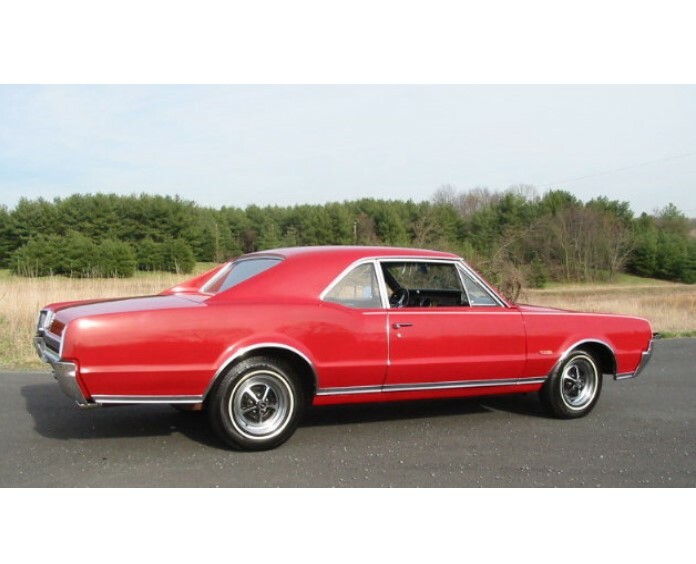 Priced at 3530$ US, the Spoiler came standard with the 429 Cobra Jet Ram-Air motor and a long list of no-extra cost options. Included was a front air dam and rear wing, your choice of six Grabber colors, loud stripping, full gauges package, bucket seats, 140 mph speedo, 8000 RPM tach, 4 spd manual Top Loader transmission with Hurst shifter, 3.50-1 Track-lock 9'' rear-end, competition handling set-up and G70x14 tires. At extra cost, you could get the Super Cobra Jet option, also know has the Drag Pack package. This included a few more performance goodies under the hood and mandatory 3.91 track lock or 4.30 Detroit locker rear-end. Only 1631 Spoilers were actually built. 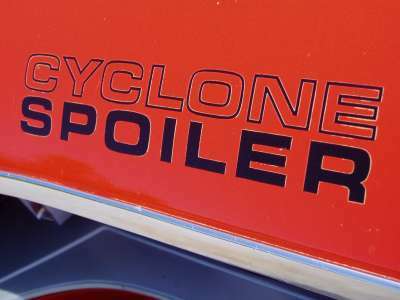 Road test magazine tested a 429 Super Cobra Jet equipped Cyclone Spoiler in 1970, running a 13.98 @102 mph....really respectable considering the car weigh-in at 4100 pounds! 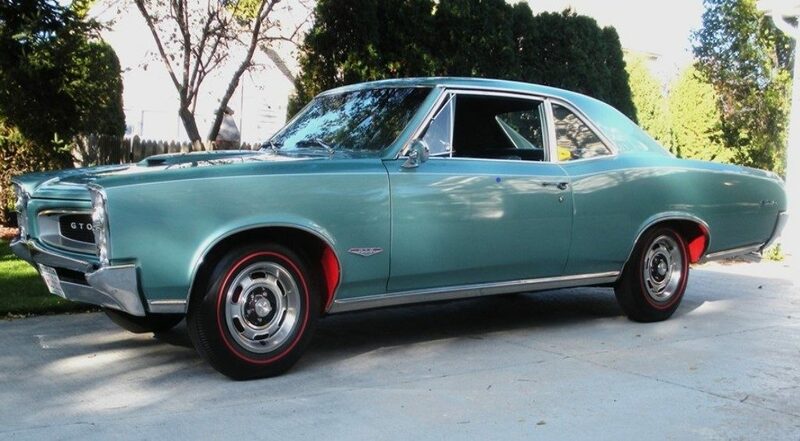 “Sedate isn’t it” was Oldsmobile tag line for the 1967 442. 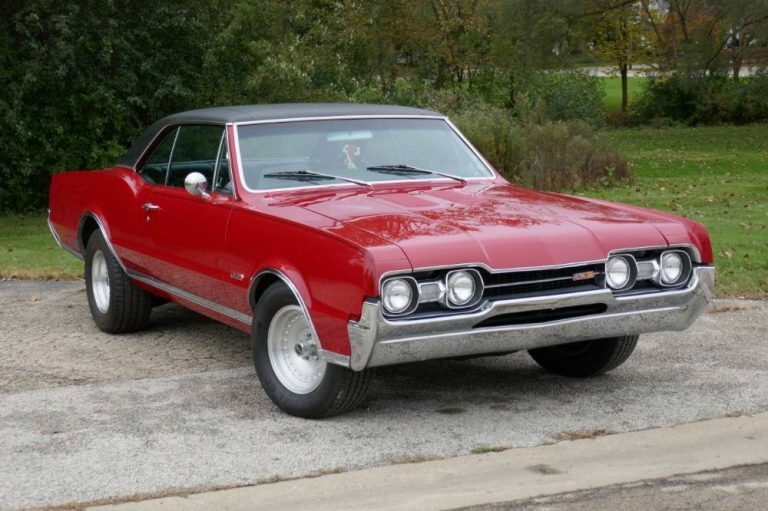 Priced at $184, the performance package now included functional hood louvers and made available such options as transistorized ignition and front disc brakes. 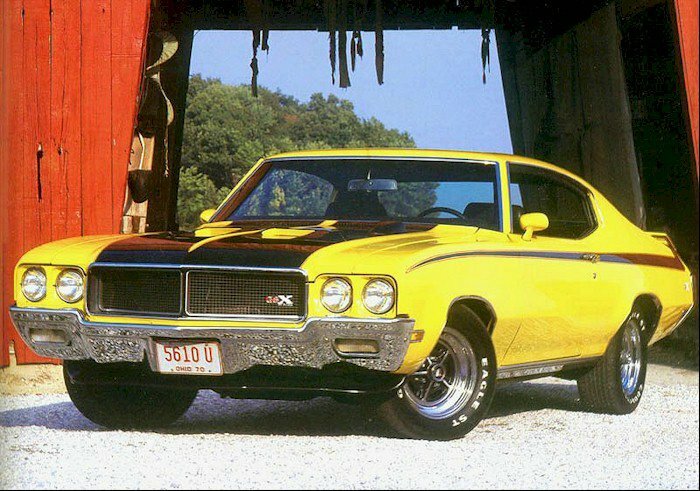 By its third year, the 442 had become the benchmark for balanced muscle-car performance. 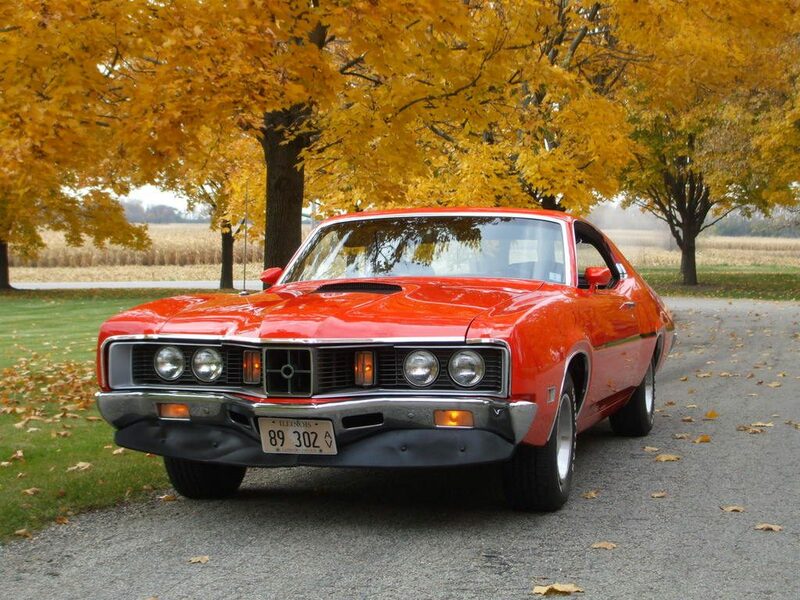 No rival handled or stopped better, and with up to 360hp and factory available forced air induction, tachometer and Hurst shifter, few could ignore its true muscle status. Even with its tamer power plant, the 442 was a fine runner. The base 400 cubic inches, rated at 350hp, stood its ground on the street. Car and driver hit the traps in 15.8 seconds @ 91 mph with the regular 350hp version. Une autre version du model Coronet fut la Super-Bee (réplique de Dodge envers la très populaire Plymouth Road Runner). 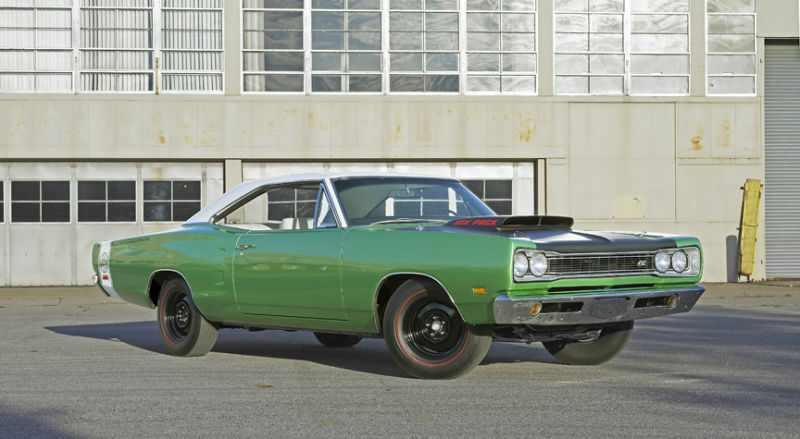 Tout comme la Road Runner, la Super Bee offrait au public de la performance à prix abordable. 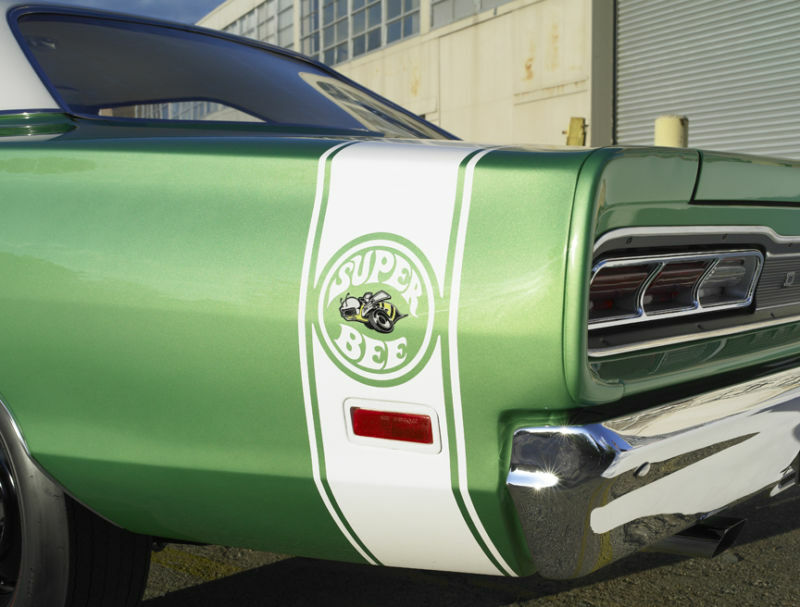 De base, la Super Bee était équipée avec un moteur 383 à 335 chevaux et 425 livres de couple. Le moteur 426 Hemi était aussi offert en option. était une voiture axée sur le plaisir de la performance. 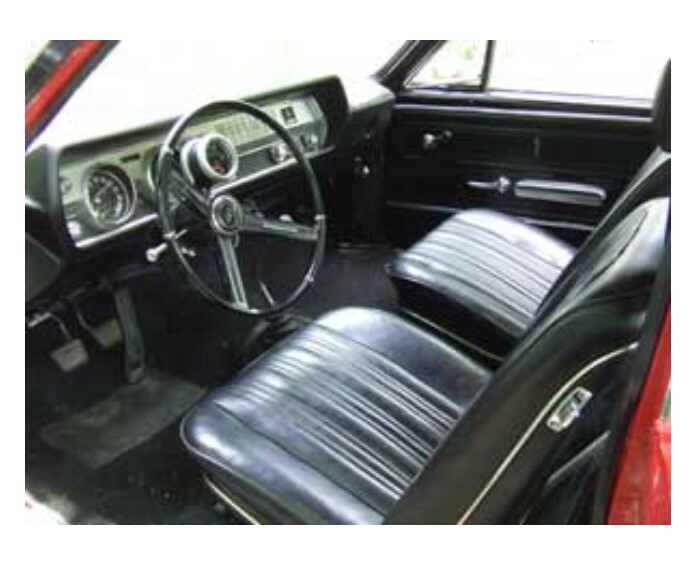 The A12 was an all out, no frills drag racing package, at no extra cost an A12 equipped Bee came std with the 440 6 pack engine, rated at 390 hp and 490 fp of torque, 4 speed manual transmission, 4.10 Dana sure grip rear-end, pined down fiberglass flat black hood, tough looking black H/D steel rims c/w chrome lug bolts, Super bee striping and loud "Six pack" hood insignia. 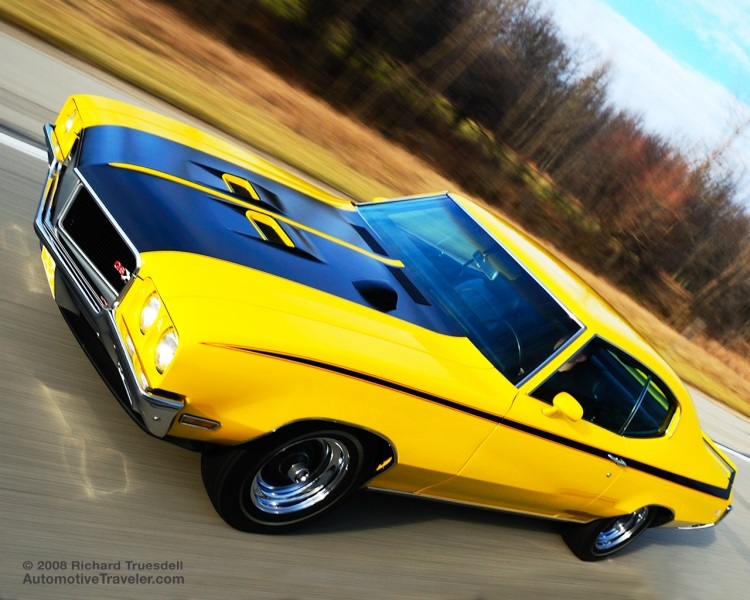 The 6 pack's 1375 cfm triple carburetion was fed by a monstrous hood scoop. Car life tested a 4 speed equipped A12 Bee and turned a "tire spinning" 13.8 at 104 mph. 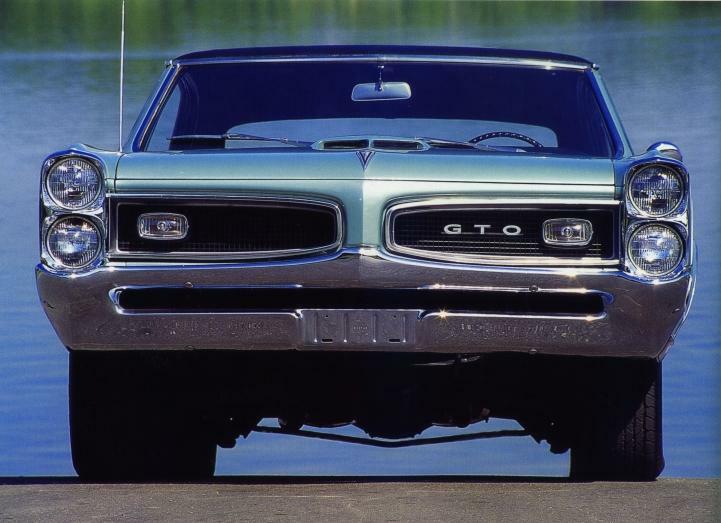 Perhaps the best looking Pontiac GTO ever made, the 1966 GTO still was Tempest based, but became a series all its own for 1966. Redesigned bodies had handsome ''Coke bottle'' look. 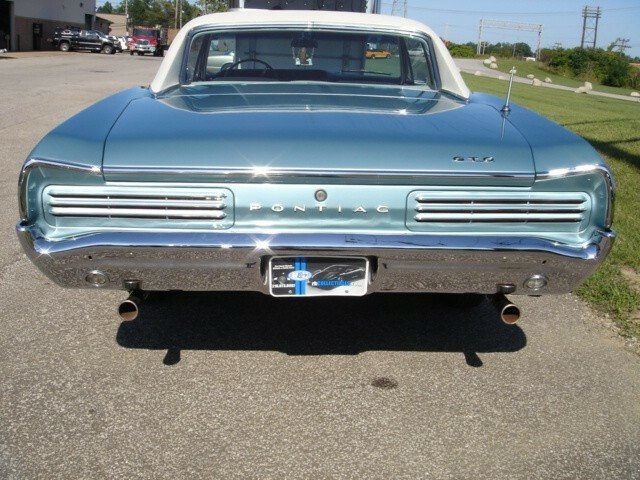 Also, 1966 was an industry first for a plastic front grill at Pontiac. The four barrel 389 continued @ 335 hp. The 389 with the triple-two barrel set-up known has tri-power, had 360 hp with or without Ram Air induction. 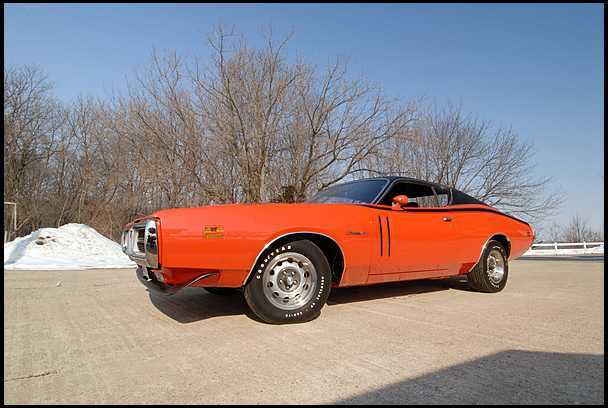 The hood scoop looked hot, but was functional only when the optional Ram-Air was ordered. 1966 was the last year for the Tri-Power set up. 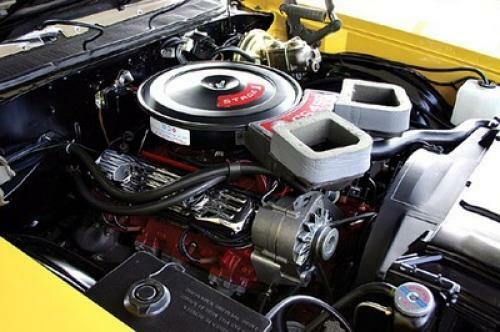 At mid year, GM outlawed multi-carb set-ups on all models except the Corvette. Car Life was quoted saying ''The new GTO is to nose-heavy, giving drivers serious traction problems off the line, the shifting is sweet, the motor willing and assembly quality is high''. Car and driver tested the tri-power 389 powered GTO equipped with a 3.55 rear axle ratio, turning a quick 14.05 @ 105 mph 1/4 mile ET. 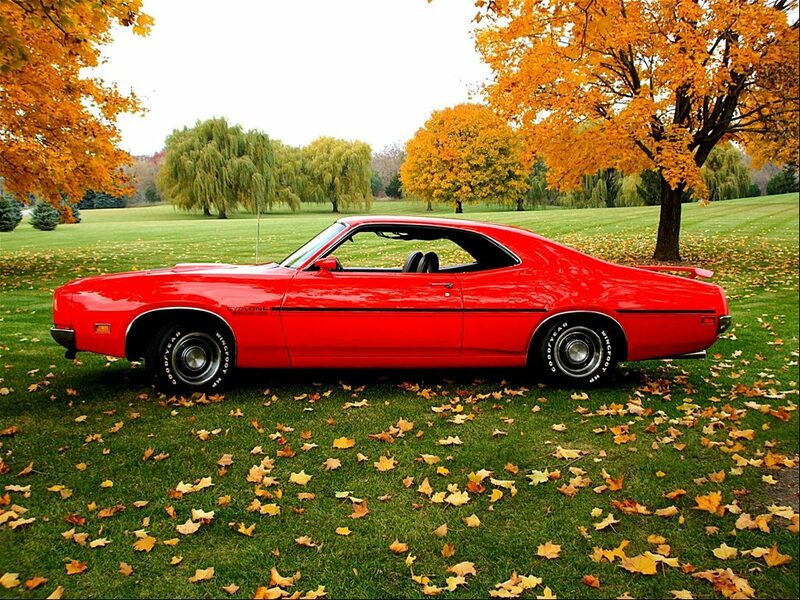 The 1970 Buick GS packing the Stage 1 455 was very conservatively rated by the factory at 360 hp, but its torque output –a stump-pulling 510 lb/ft at a mere 2800 rpm showed its true strength. 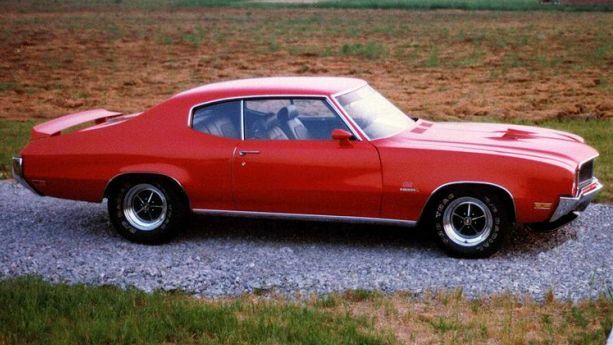 This prodigious low-end grunt made a Stage 1 Buick a feared competitor on the street and strip. 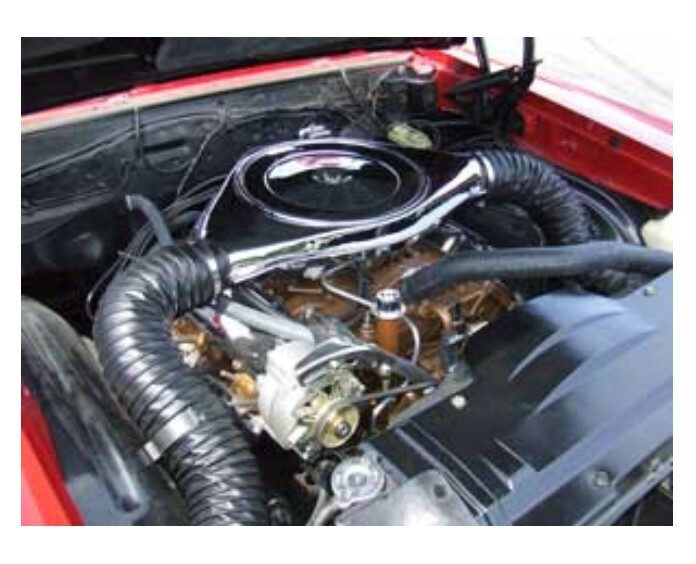 A properly equipped Stage 1 455 was more than capable of running with the famous Hemi. 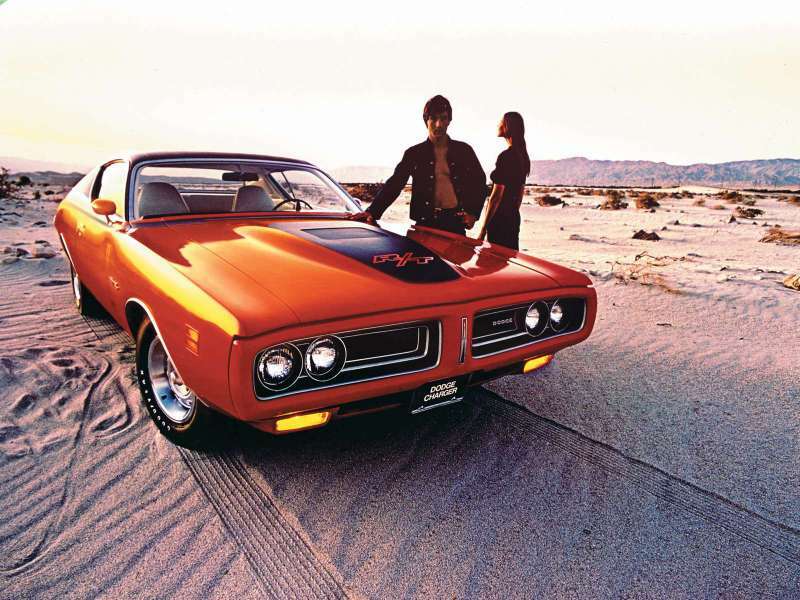 Motor trend tested the 70 Stage 1, turning a 13.38 @ 105.5 mph, prompting the editors to crown it "THE QUICKEST AMERICAN PRODUCTION CAR WE HAD EVER TESTED". 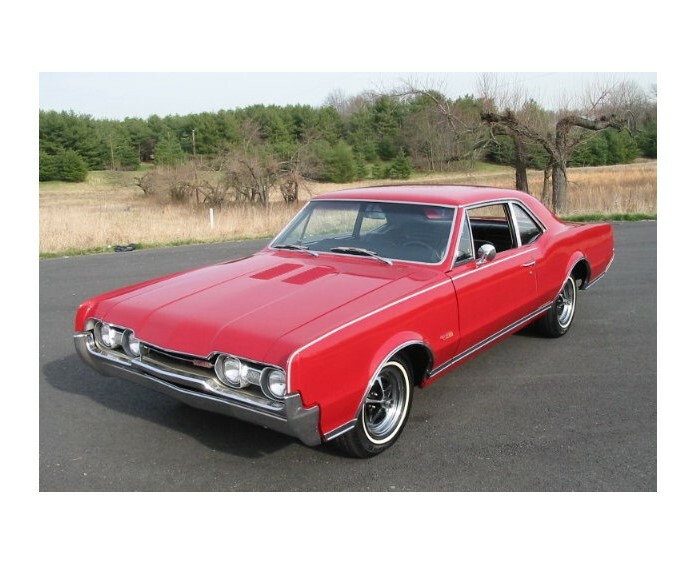 The GSX package added an upgraded suspension, hood tach, loud stripes, spoilers, and a whopping 1195$ US to a 1970 GS 455. Saturn yellow or Apollo white were the only available colors. That year, only 678 were built. 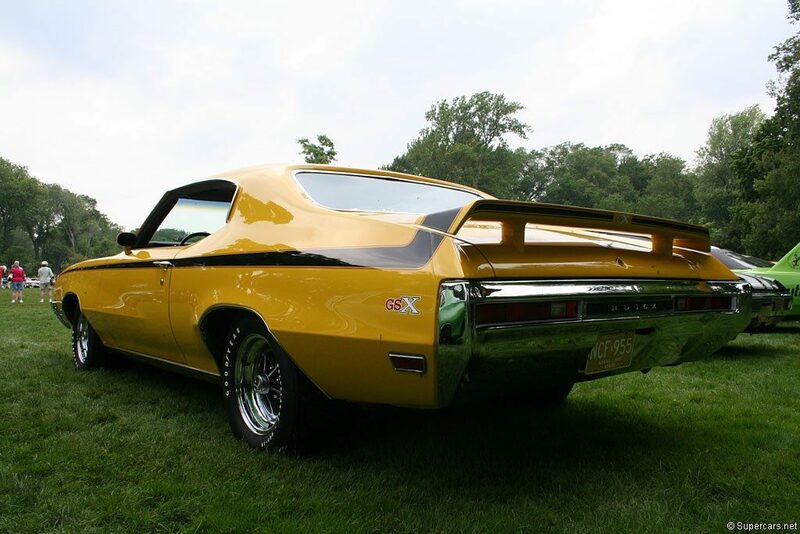 The 1971 GSX came in a choice of six colors, but power was down to 345 hp in top-line Stage 1 form. 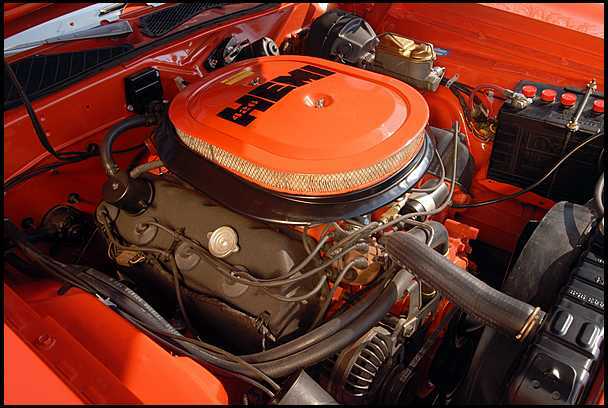 1971 was the final year for the mighty Hemi power plant. 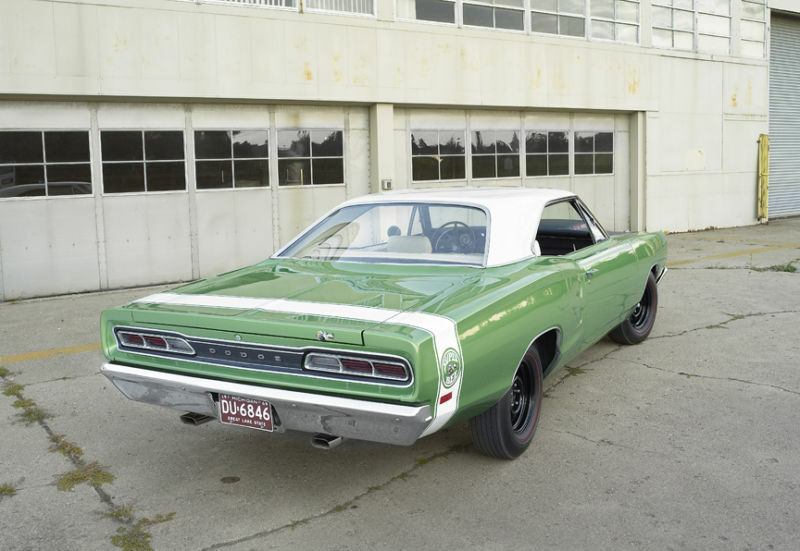 Among the last Dodges to get them was the redesigned Charger. 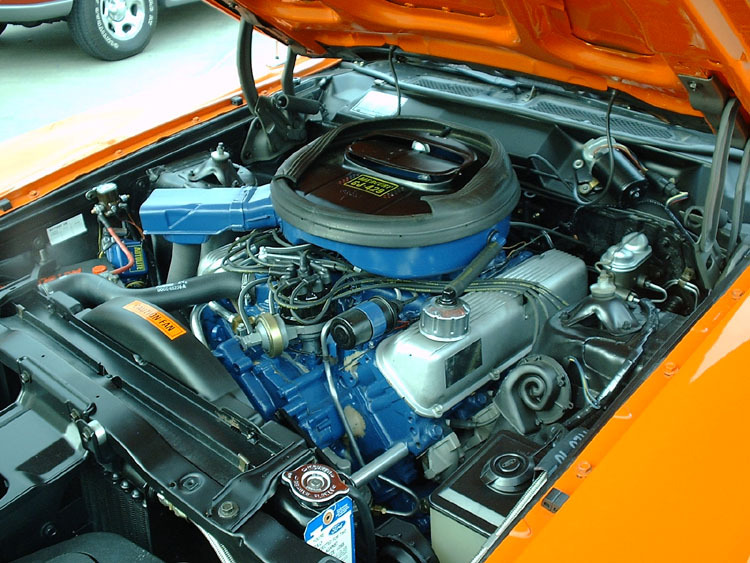 The legendary engine was offered in the Charger R/T and Charger Super Bee models. That included an extra 884 dollars to the invoice. 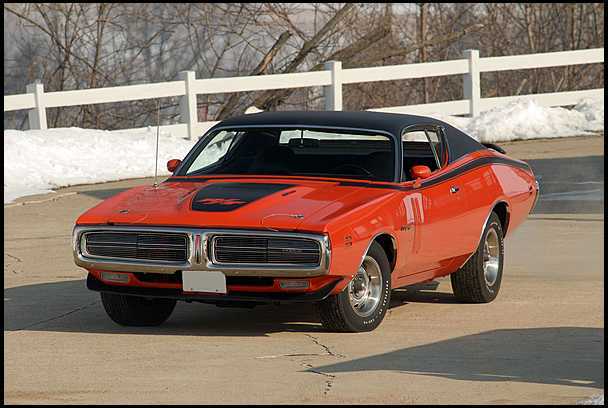 Just 85 Hemi powered Chargers were ordered for the 1971 model year. The new Charger wore an all new radical ``Coke bottle`` look on a 115`` wheelbase, down 2`` from the previous year. 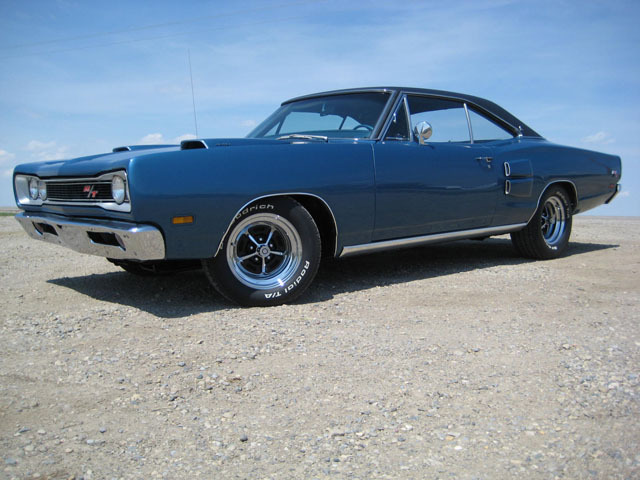 R/T model got a blacked out louvered hood (air grabber hood was also available at extra cost), special door skins, with simulated air extractors and rally wheels. Spoilers on rear deck and chin were optional. 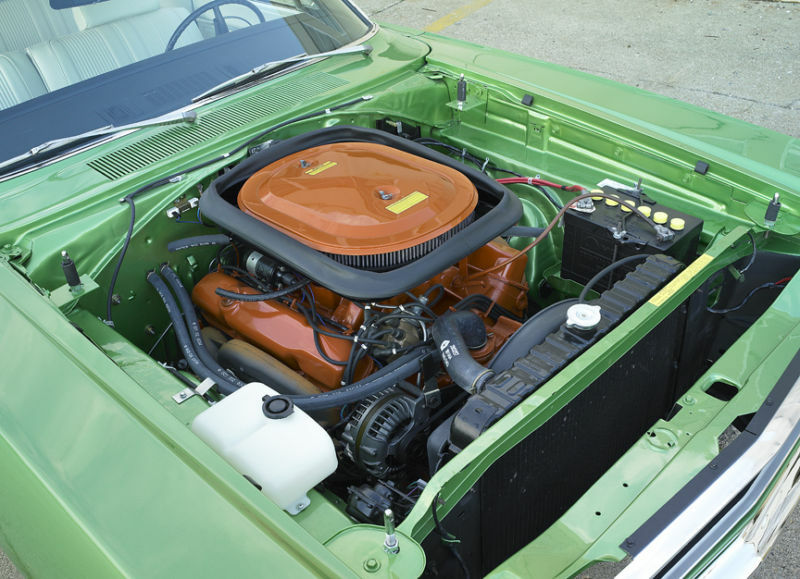 Standard engine for the R/T Chargers was the 440 4 bbl Magnum V8 ratted at 370 horse power, the six pack set-up was available at extra cost and added an extra 15 horses . The optional street Hemi still packed neck snapping punch….Motor trend turn a 13.7 quarter at 104 mph with the 426 Hemi and 4.10 sure grip rearend !